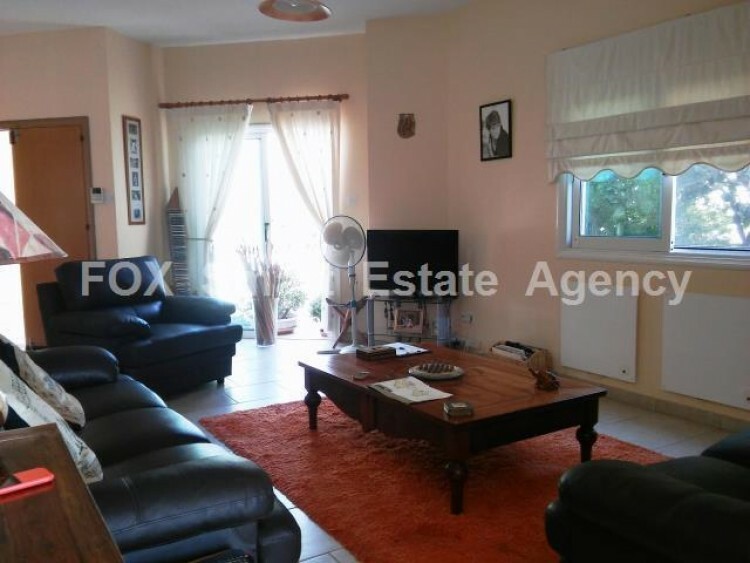 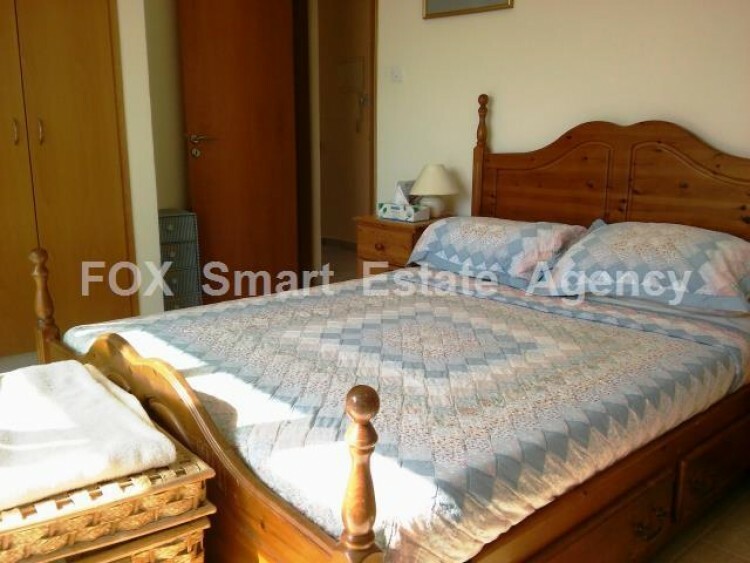 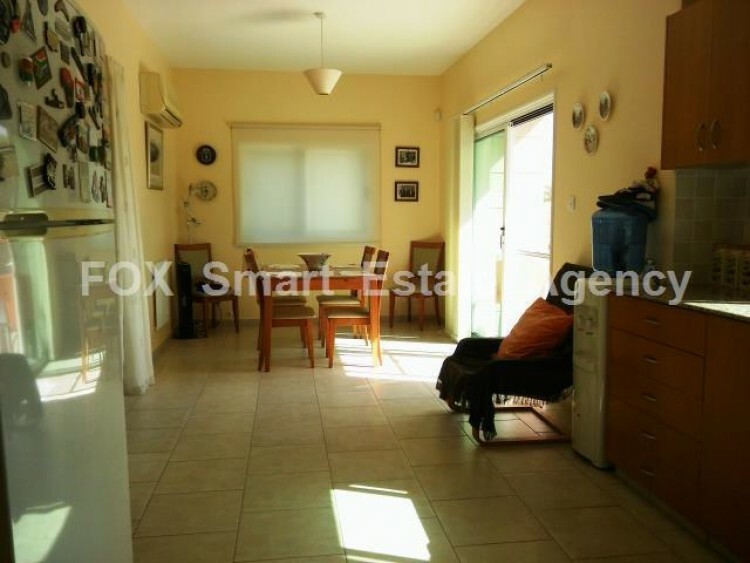 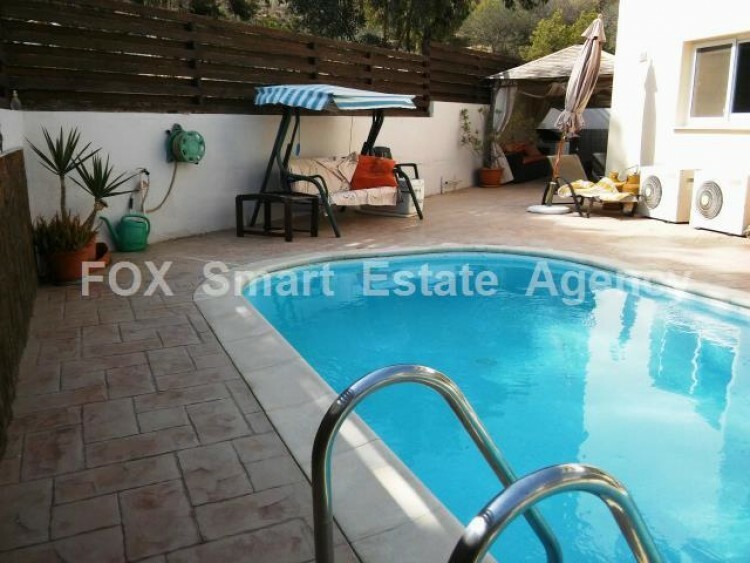 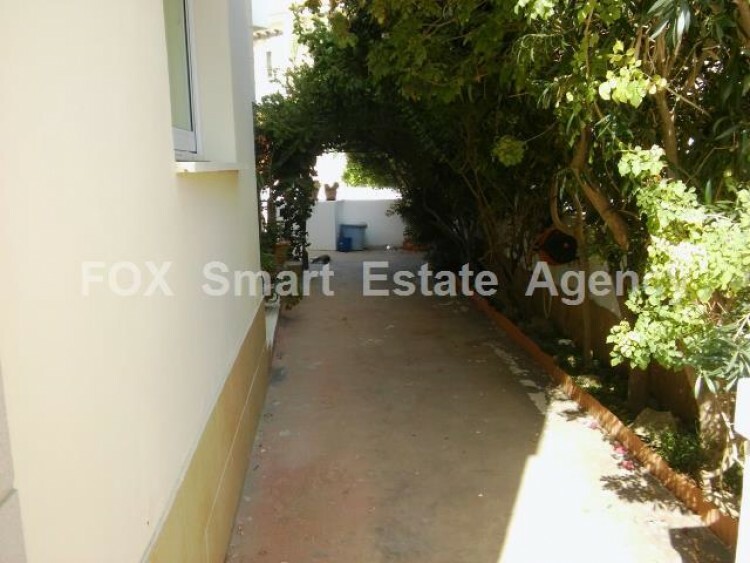 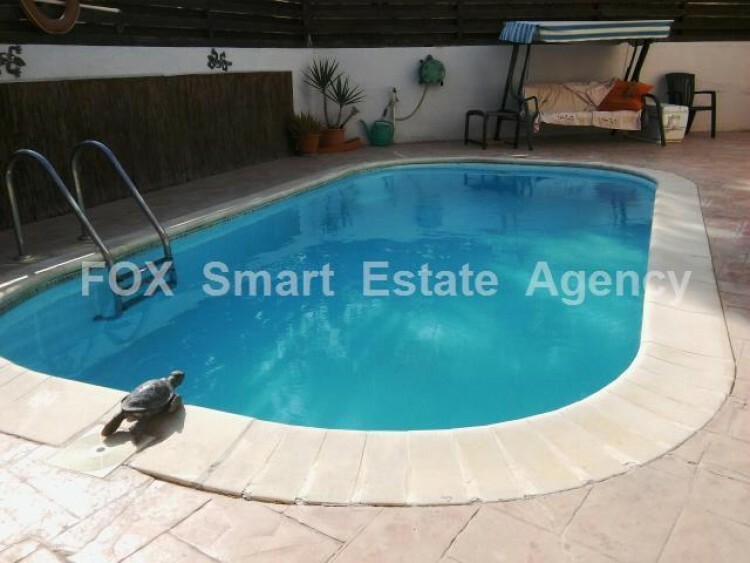 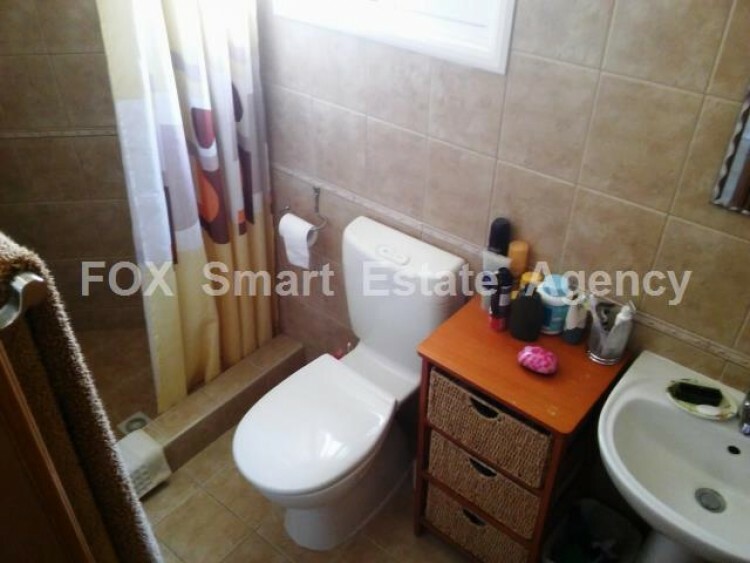 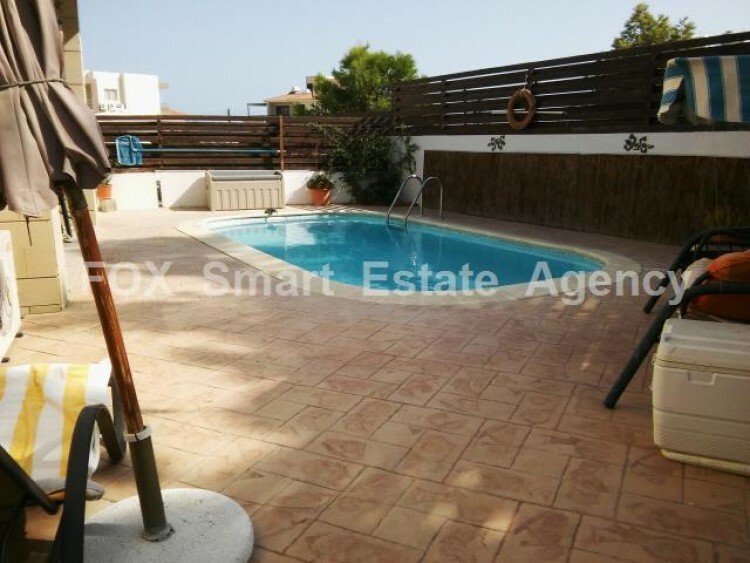 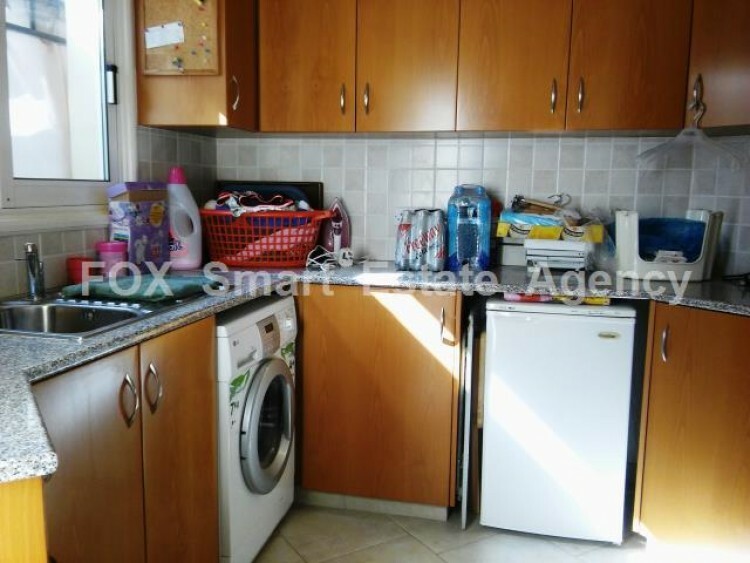 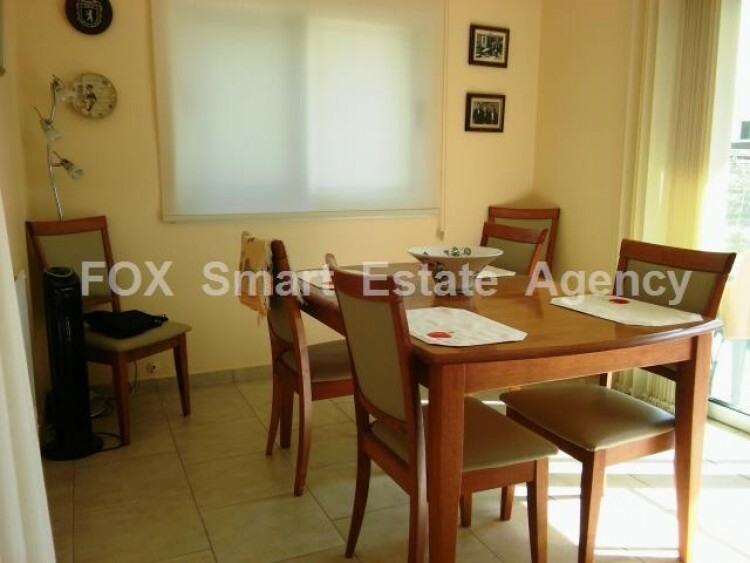 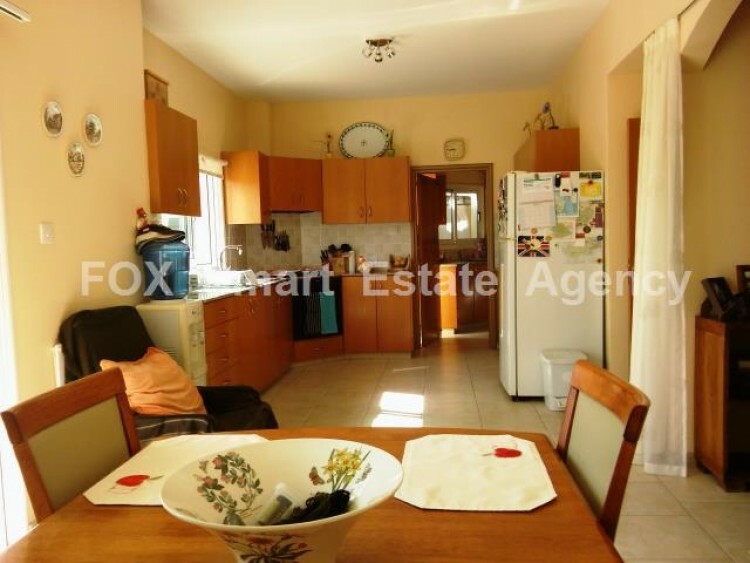 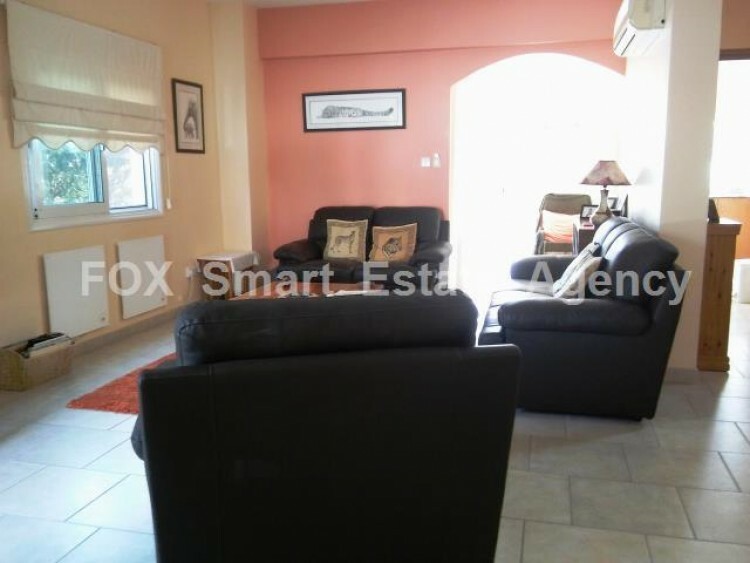 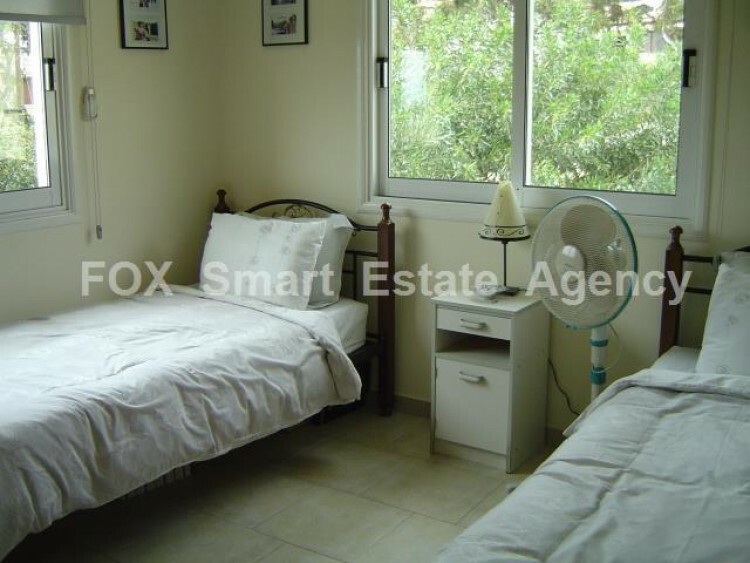 A fantastic 3 bedroom house with a swimming pool located in Oroklini. 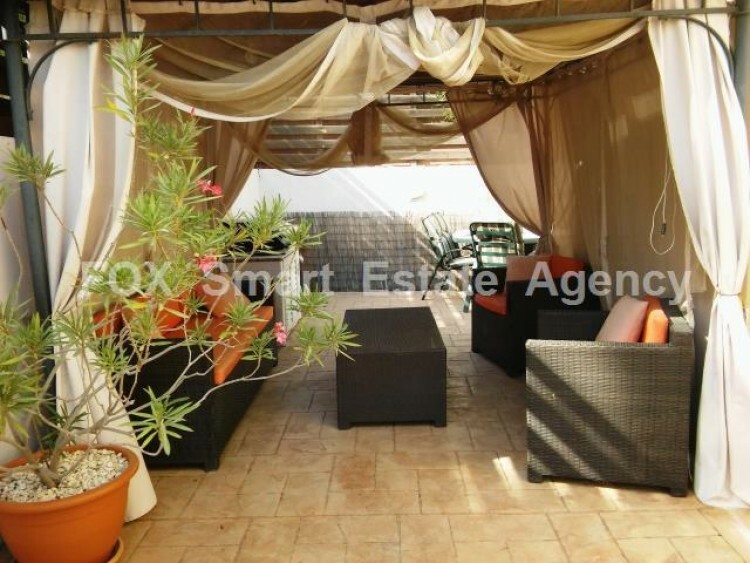 The lower level consists of a spacious living room, leading to a large open plan kitchen with a dining room and swimming pool view, a separate kitchenette/utility room and a guest w.c.. 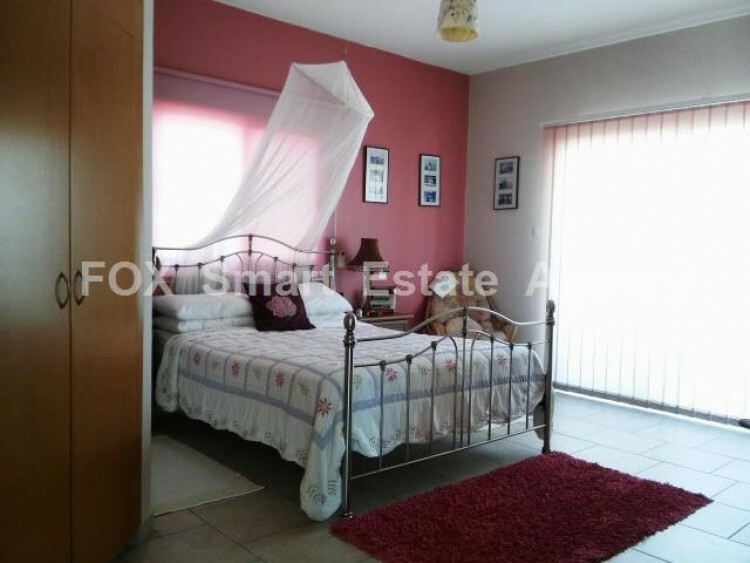 The upper level consists of one master bedroom with en suite, another two bedrooms and a family bathroom. 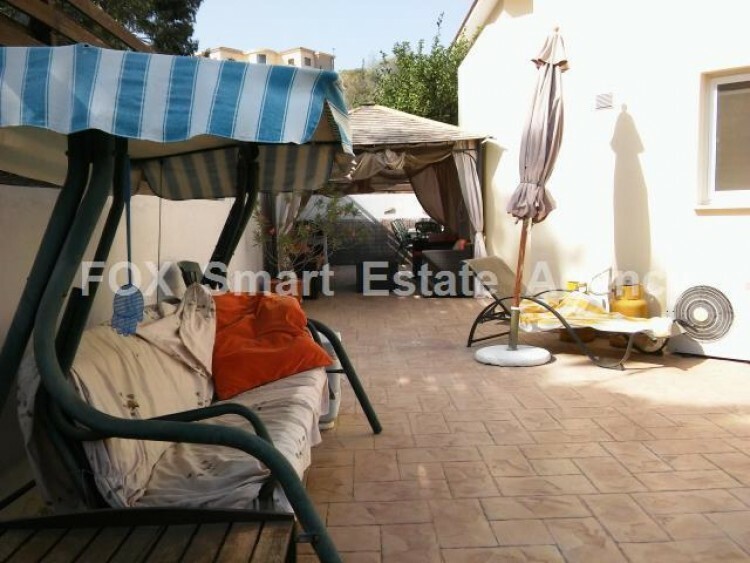 It also provides a covered garage, very nice yard areas at the front and sides of the house, and a fabulous backyard with a kiosk and the swimming pool. 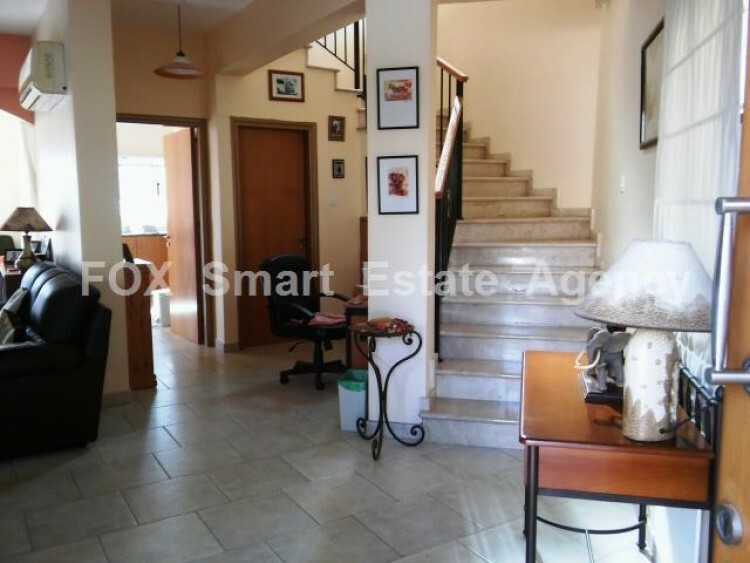 The house is very close to all amenities and with easy access to the highway.